Flash reports typically provide a snapshot of key financial figures, such as cash balances, receivables aging, collections and payroll. Some metrics might be tracked daily — including sales, shipments and deposits. This is especially critical during seasonal peaks or among distressed borrowers. Effective flash reports are simple and comparative. Those that take longer than an hour to prepare or use more than one sheet of paper are too complex to maintain. Comparative flash reports identify patterns from week to week — or deviations from the budget that may need corrective action. 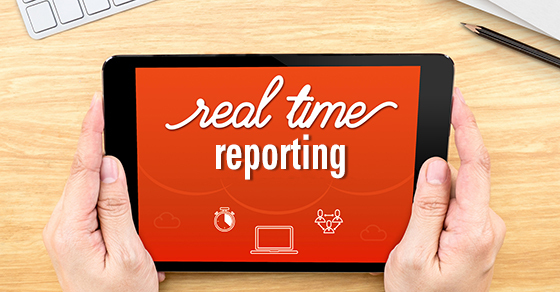 Flash reports can help management proactively identify and respond to problems and weaknesses. But they have limitations that management should recognize to avoid misuse. Most important, flash reports provide a rough measure of performance and are seldom 100% accurate. It’s also common for items such as cash balances and collections to ebb and flow throughout the month, depending on billing cycles. Companies generally use flash reports only internally. They’re rarely shared with creditors and franchisors, unless required in bankruptcy or by the franchise agreement. A lender also may ask for flash reports if a borrower fails to meet liquidity, profitability and leverage covenants. If shared flash reports deviate from what’s subsequently reported on GAAP financial statements, stakeholders may wonder if management exaggerated results on the flash report or is simply untrained in financial reporting matters. If you need to share flash reports, consider adding a disclaimer that the results are preliminary, may contain errors or omissions, and haven’t been prepared in accordance with GAAP.